All tankless water heaters are sized based on flow rate and temperature rise, so if used in a cold area requiring a high temperature rise, it will be more limited water flow speed. Make sure that cold water flow through tap to avoid dry heating before connecting into power in your first time use,which just for initial use and setup. Water Use Information of the Electric Water Heater: Minimum Activation Flow Rate 90L/h. Startup with very low water pressure. The water heater comes with sink tap faucet and hose as unit, you can easy to install and convenient to use hot water. 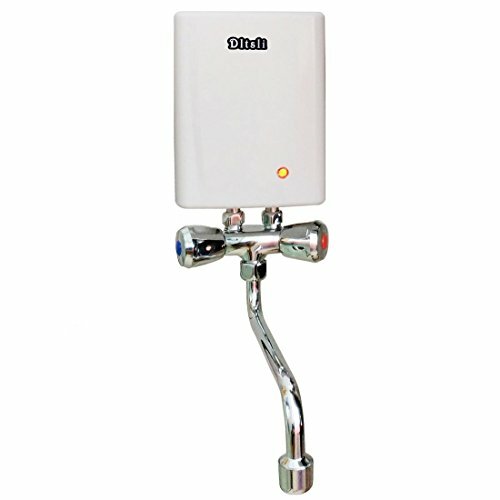 Suitable for where need hot water such as household, hotel, saloon, office, school and hospital. If you have any questions about this product by Dltsli, contact us by completing and submitting the form below. If you are looking for a specif part number, please include it with your message.